2006 Edgar, Barry and Anthony Nominee for Best First Novel. Good Housekeeping "Good Reads" pick November 2005, one of London Times Christmas Books 2008. January Magazine: Pierce's Pick of the Week. Die a Little tells the story of Lora King, a schoolteacher and her brother Bill, a junior investigator with the district attorney’s office. Lora’s comfortable, suburban life is jarringly disrupted when Bill falls in love with a mysterious young woman named Alice Steele, a Hollywood wardrobe assistant with a murky past. Made sisters by marriage but not by choice, the bond between Lora and Alice is marred by envy and mistrust. 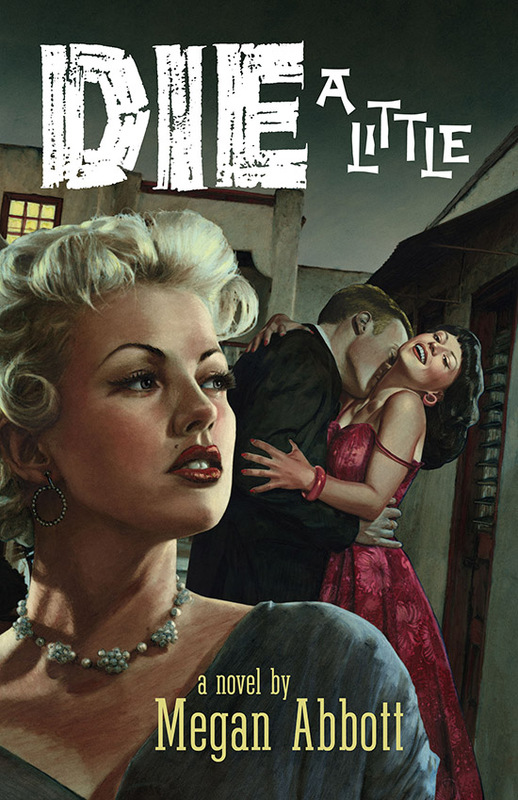 Spurred by inconsistencies in Alice’s personal history and possibly jealous of Alice’s hold on her brother, Lora finds herself lured into the dark alleys and mean streets of seamy 1950s Los Angeles. Assuming the role of amateur detective, she uncovers a shadowy world of drugs, prostitution and ultimately murder. Lora’s fascination with Alice’s “sins” increases in direct proportion to the escalation of her own relationship with Mike Standish, a charmingly amoral press agent who appears to know more about his old friend Alice than he reveals. The deeper Lora digs to uncover Alice’s secrets, the more her own life begins to resemble Alice’s sinister past—and present.